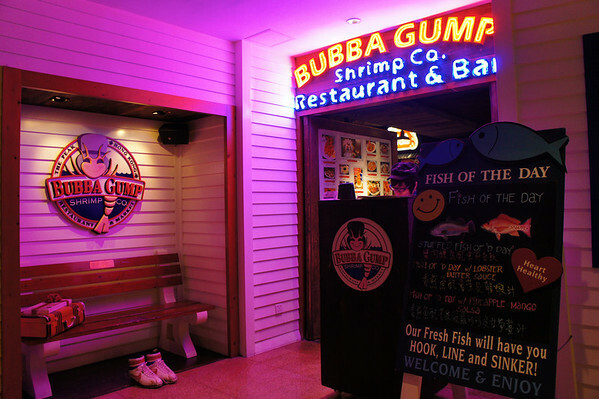 Bubba Gump is a chain seafood and SHRIMP restaurant in all major cities of the USA. However, there isn’t one close to where I live. So where is this one? It’s in Hong Kong! 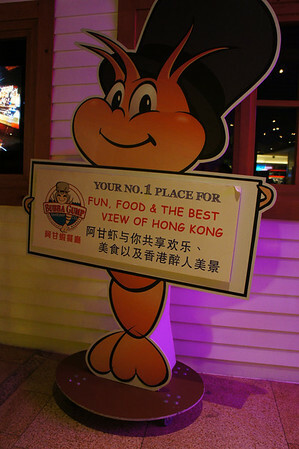 My girlfriend and I visited this restaurant while we were on our trip earlier this year in Hong Kong, we decided this would be the restaurant to visit when we head up to The Peak. I’m not sure if it’s the No.1, but it definitely had very friendly service and the view was not too bad. 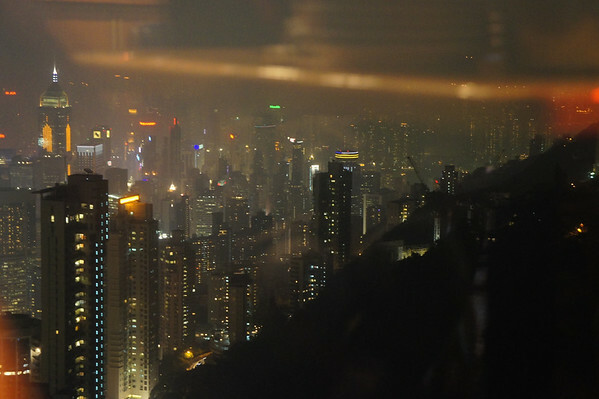 It’s hard to get a clear view in Hong Kong because the fog is usually all over it. I would suggest making a reservation if you want a window seat. We were late to our reservation, but they still managed to kept the table for us. The service here is quite interesting, this was the sign on the table that tells the server they need to stop for service. Rather than looking for a raised hand, the servers would be looking at signs. A pretty neat idea to the hand rule. 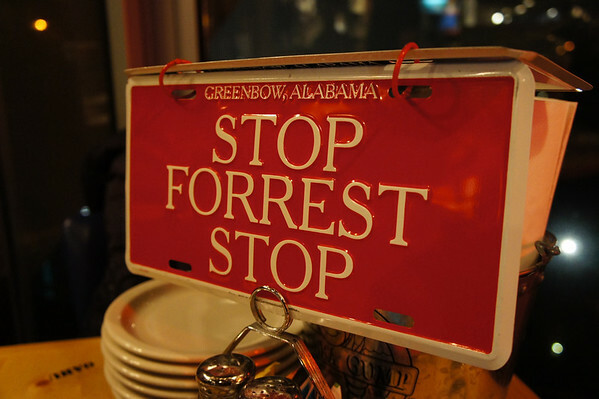 Once service came, they would flip down the sign which says “RUN FORREST RUN”. This was the addition of a salad for $40HKD on top of our dinners. 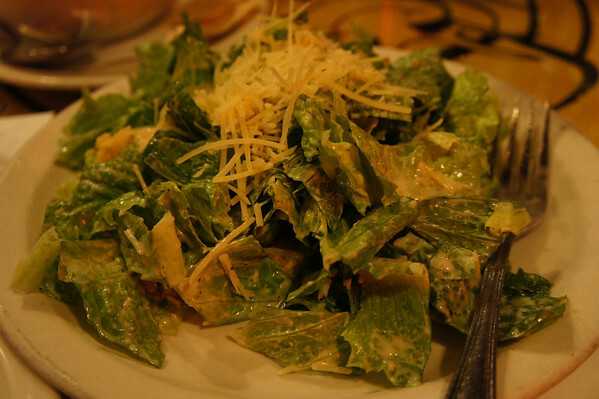 Nothing too special about the caesar, it tastes just the same if I were to get it here in Vancouver. 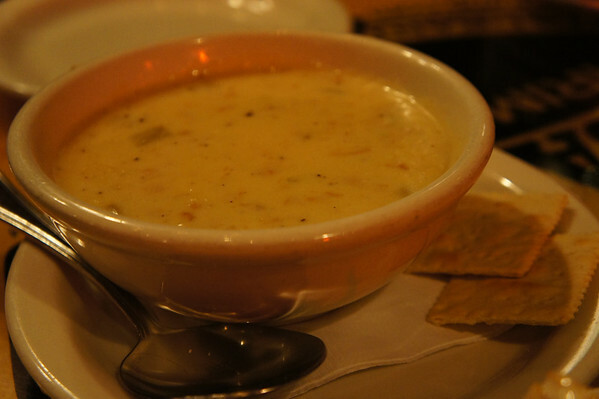 I’m a fan of chowders. And this one did not disappoint. It was very creamy texture, and it tasted perfect as it wasn’t too salty. My girlfriend ordered the “I’m Stuffed!” Shrimp. 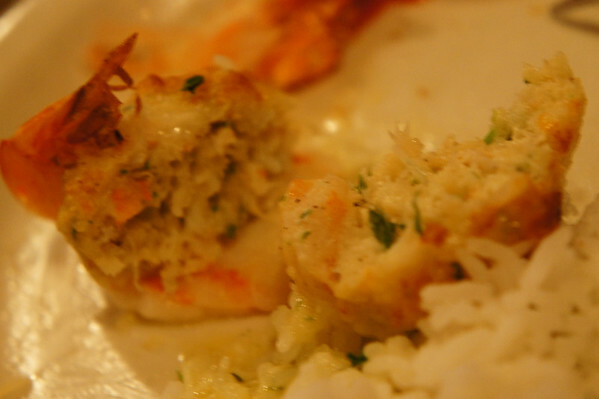 It’s large shrimp stuffed with crab, baked in garlic butter and topped off with Monterey Jack cheese. 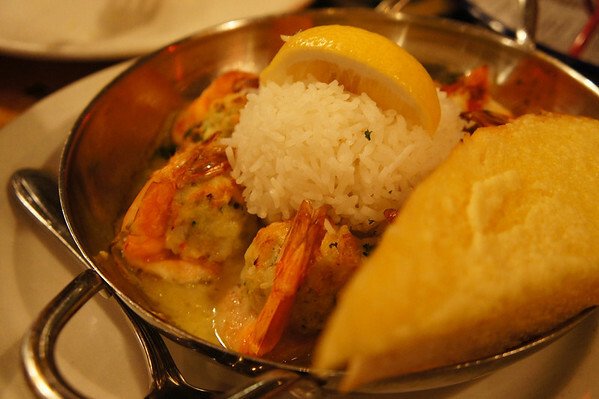 Served with Jasmine rice. 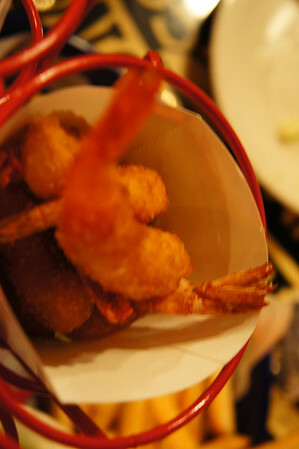 I’m not sure if I thoroughly enjoyed the stuffed shrimp, I know my girlfriend did. We had something similar in Kamloops, BC. And she claimed this one was better. 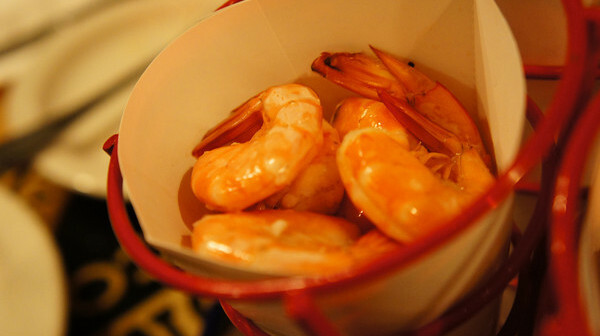 I ordered the shrimper’s heaven! It’s an all shrimp’s meal, after all, this is what they are good at. I wish this was less deep fried than it was, cause the day after I started losing my voice. May this serve as a warning for those who can’t consume deep fried food all at once, let this be a warning to you. 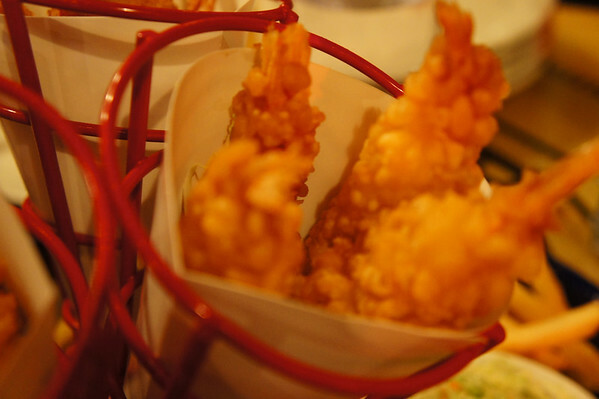 The tempura shrimp’s batter was a very thick one, unlike the ones you find at Japanese restaurants. These are hard battered up. One of the four that I enjoyed cause it was not fried. But, served cold. This one wasn’t bad either because it was less battered. The shrimps were overall mediocre, you can’t really taste the freshness that comes from these shrimp which was a disappointment. 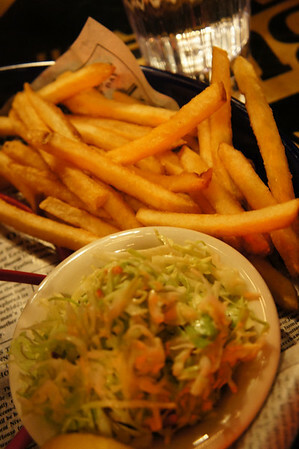 The combo comes with fries (like I hadn’t eaten enough fried food) and coleslaw. The coleslaw had a very strong spice in there which I didn’t particularly like. But, it was the only thing served not fried so, I had to eat it. 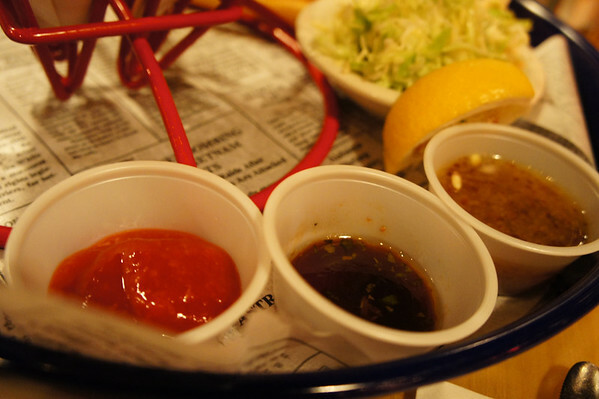 And of course the dipping sauces, the marinara sauce on the left was for the chilly shrimp. 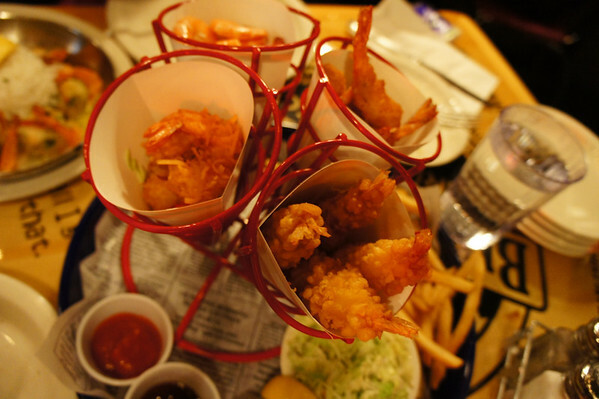 The tempura sauce in the middle was for the tempura shrimp. 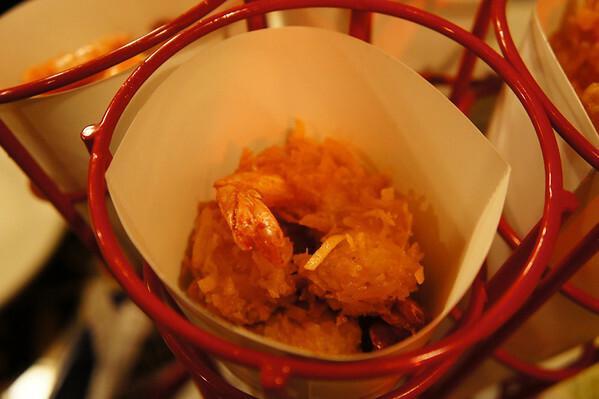 And the last one was a sweet sauce for the coconut or fried shrimp, that was the favourite of them all. Overall, Bubba Gump is a very vibrant restaurant. It’s got excellent view of the city (when it’s not cloudy). However, the food quality is mediocre. 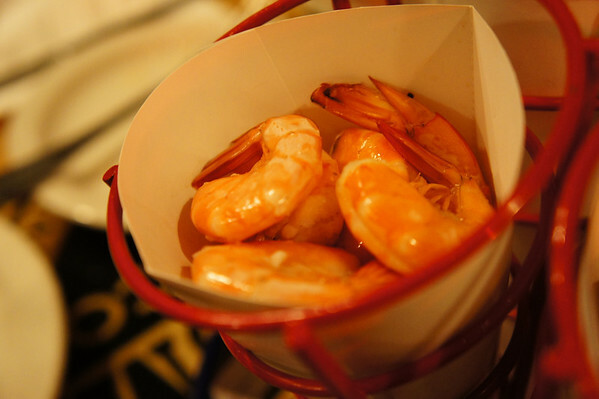 It’s not about freshness here, nor does it serve up to its name as a shrimp restaurant. But if you like anything deep-fried, this is the best place to be. The pricing is moderate for its dishes, and the portions are decent. For me on a budget, I wouldn't go to this one. I'm more of a lobster and oyster fan though even clams.